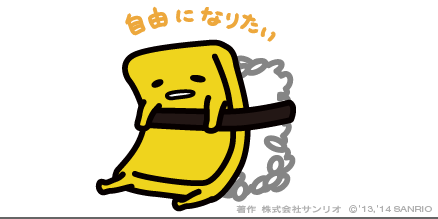 I found a bizarre, fat, yellow character on the website of Sanrio, the Japanese cartoon goods company. What was this weird, tubby creature? Incomprehension came over me. 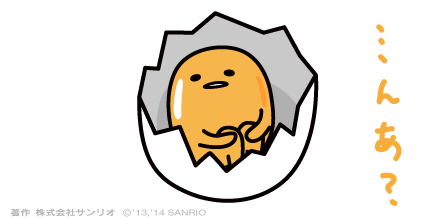 Turns out, this is a 2014 Sanrio character, Gudetama (pronounced good-eh tah-mah). 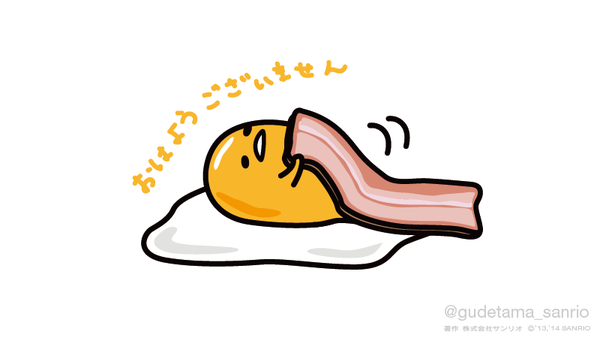 His name loosely translates as ‘lazy egg.’ He’s an egg yolk with a bacon blanket. 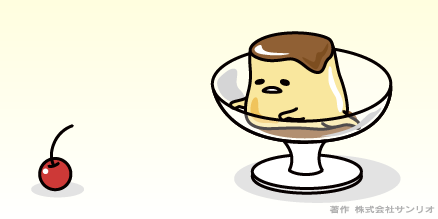 Yuru-kyara (‘gentle, laid back characters’) like Gudetama are a cultural phenomenon in Japan. Adorable mascots permeate everyday life, promoting consumer products, events, public transport, government agencies, private corporations, cities, prefectures, police departments, even prisons. An anthropomorphic dancing pear, snow-capped mountain or tofu block might seem like lightweight fun, but mascots are a seriously lucrative industry. Popular mascots are celebrities that generate millions in publicity and merchandise sales. Advertising giant Dentsu researched the top products in Japan for 2014 and mascots were number two, ahead of smartphones, hybrid cars and premium beer. Disney’s movie ‘Frozen’ was number one. It’s so easy to travel in Japan. The extraordinary customer service overcomes any language barrier. The cities are wonderfully hi-tech. Public transport is clean and punctual. The crime rate is low. However, Japan has one of the world’s highest suicide rates. My three-week holiday felt like one smooth, seamless Shinkansen bullet train ride. The Shinkansen is an eerily quiet experience, akin to gliding in a hermetically sealed pod, buffered from the outside world. As a tourist, I was also shielded from the harsh realities of daily Japanese life. The demands of company and community often trump that of family and individual. Harmony and conformity in these crowded societies is upheld by strict hierarchical structures and protocols. So when an endearing, world-weary embryo emerges, perhaps it’s no surprise the Japanese quickly took him to heart. 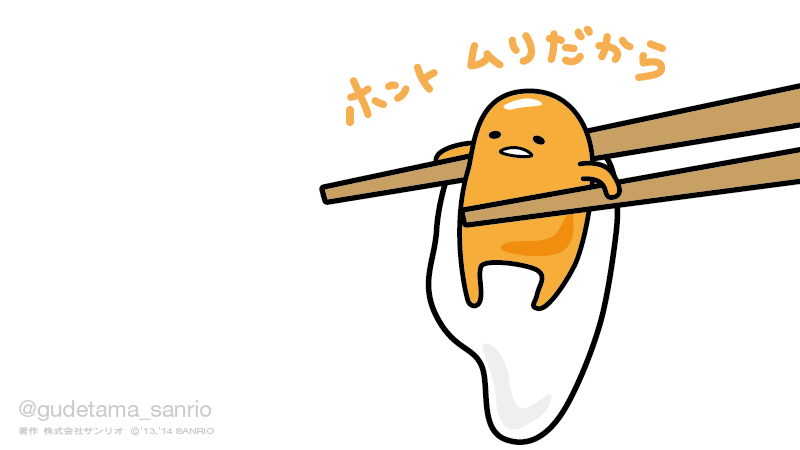 Gudetama hatched in March 2014 and shot to rank seven out of 100 in Sanrio’s annual character popularity poll. His product range from stationary to home wares has exploded and he has a one-minute animation broadcast every weekday morning on national TV. He is a breakout success in a country yearning for an anti-hero. The Japanese can contend with high expectations throughout their lives. 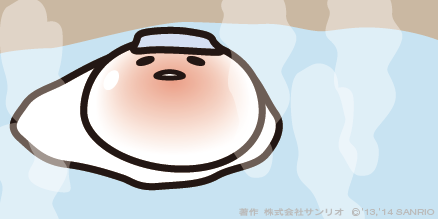 An innocuous cartoon of a disillusioned wobbly egg represents the human psyche’s soft underbelly. Behind the stoic façade of every diligent student and dedicated salaryman is a person with emotions as authentic as in any other nationality. Japan’s mascot universe keeps growing. In 2010, the first nationwide Yuru-kyara Grand Prix popularity contest drew around 170 participants. In 2014, it had almost 1700. Not everyone is impressed. In 2014, the Finance Ministry ordered all local authorities to cut back on their cuddly critters, citing them a waste of taxpayers’ money. 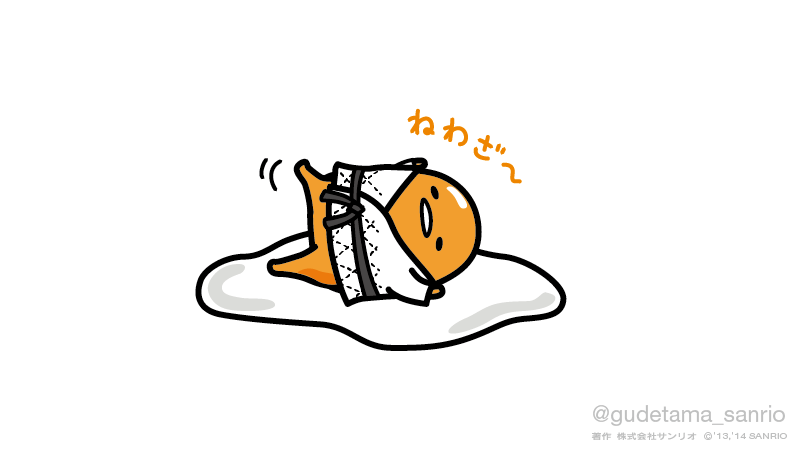 Under the protective commercial umbrella of Sanrio, Gudetama will survive. As a traveller, Japan is my favourite destination, but if I had a Japanese doppelgänger would she have thrived or crumpled in the pressure-cooker? 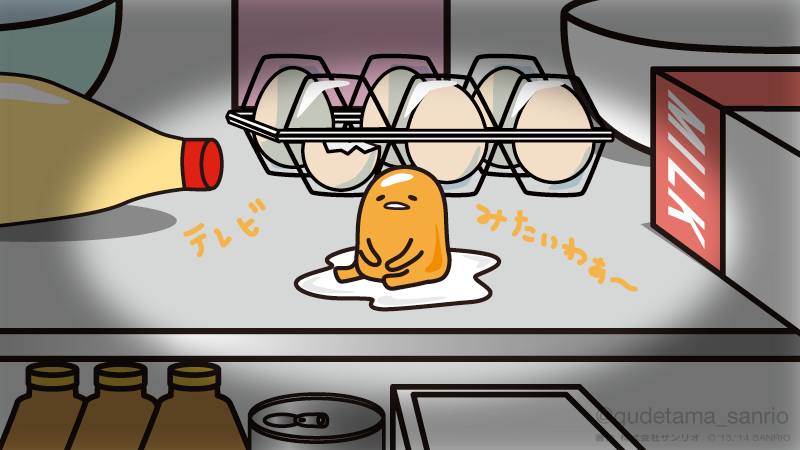 I can enjoy Gudetama’s charms from a comfortable distance through the internet. 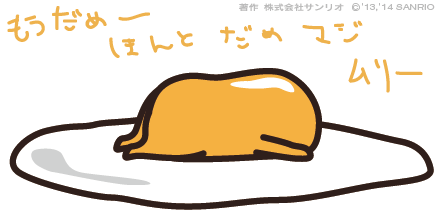 In today’s social media world, where the biggest stars are Instagram models in bikinis spouting quotes like “BELIEVE” and “Live Your Dreams,” I choose the lazy egg. 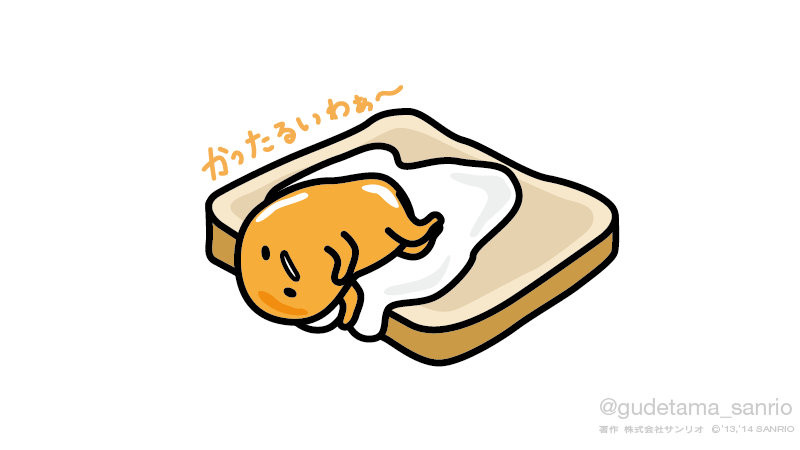 Gudetama already has over 200K Twitter followers (updated 681K). Those models should keep checking over their svelte, sun-kissed shoulders. One day their status might be eclipsed by a gorgeously nihilistic flabby blob. Related: Why is the World Obsessed With Hello Kitty? Thankyou for reading! He is adorable, yes.